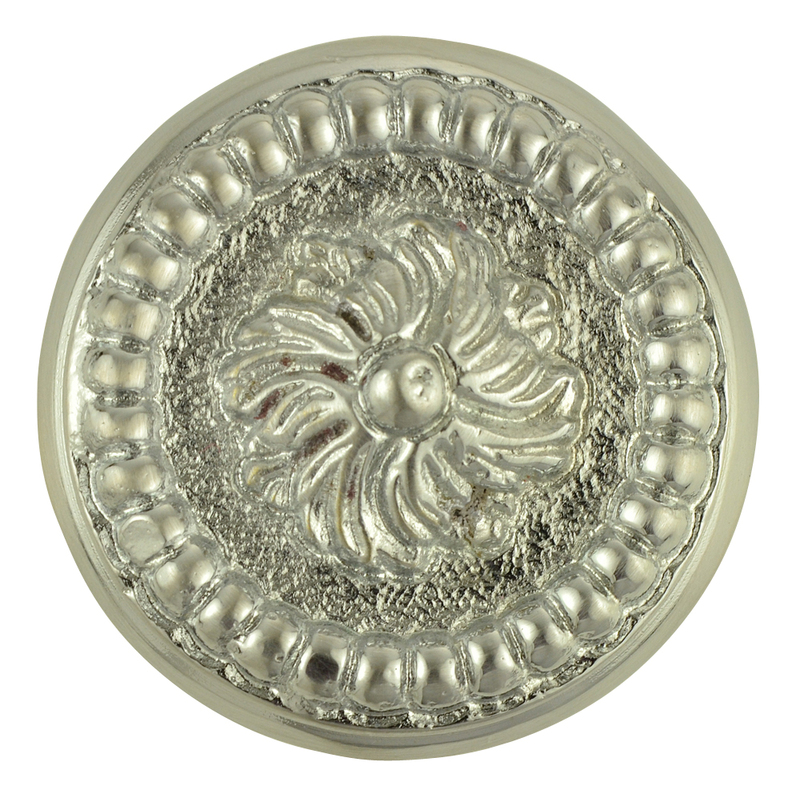 1 1/2 Inch Solid Brass Victorian Beaded Swirl Knob (Brushed Nickel Finish). This knob measures 1 1/2 inches in diameter with a projection of 1 inch (approximate). Comes complete with the mounting hardware. Available in polished chrome, polished brass, antique brass, oil rubbed bronze, satin brass, antique nickel, brushed nickel (shown), antique copper and polished nickel.